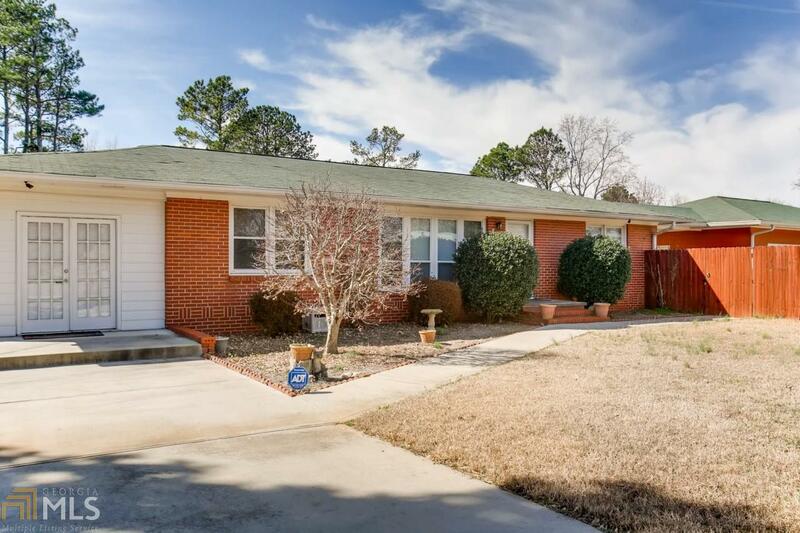 Rare opportunity - brick ranch home with a separate 1,000 square foot heated and cooled workspace/garage on a double lot (roughly .85 acres). Perfect place for a home business, automotive work, or finish garage for a second rentable property. Home features an updated kitchen with custom maple cabinets, breakfast bar, and stainless appliances. Den with wall of windows. Hardwood floors throughout. Bathroom with tiled floor, cast iron tub, and pedestal sink. Large office/3rd bedroom opens onto deck. Beautiful fenced back yard with covered deck, 6 person luxury grade hot tub, above ground pool, and large storage building. New plumbing. New electrical. New septic tank. Two driveways. Directions: Hwy 41 To Bells Ferry Rd. Right On Dickson. Left On Dickson Rd, Left On Park Lane. Home Will Be On The Left.